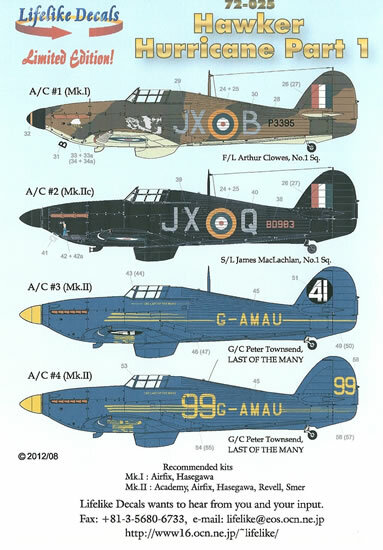 Decals for four subjects, with colour-printed painting and markings guide. These are superbly produced decals. 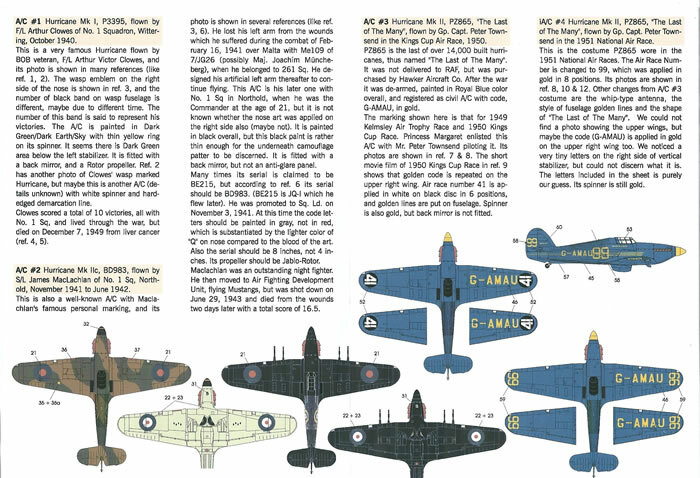 Lifelike has selected some attractive and interesting Spitfire schemes that appear to be well researched – Recommended. 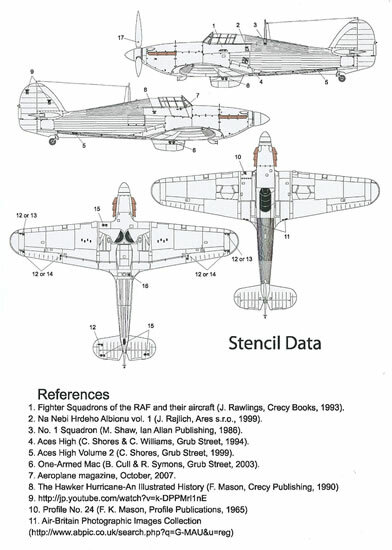 The Hurricane is a very popular aircraft modelling subject, and needs no introduction or description here. 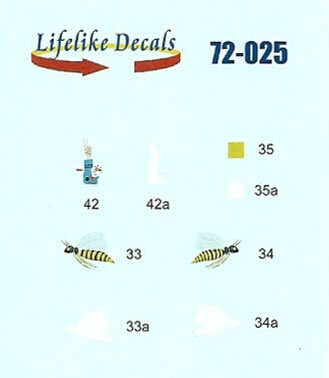 Lifelike’s decals come in the ubiquitous A5-sized zip-lock bag with and folded A4 pages for instructions. These are nicely printed in colour and include quite detailed notes describing each scheme. I think that a fair amount of research effort has been made judging by their content. This said, Lifelike do acknowledge where doubt our conflicting information exists. A further page guides stencil placement. The decals appear to be of superb quality. Hawker Hurricane Mk.I, P3395, F/L Arthur Clowes, No.1 Sqn, Wittering, Oct 1940. Hawker Hurricane Mk.IIc, BD983, S/L James MacLachlan, No.1 Sqn, Northolt, Nov 41 to June 1942. Hawker Hurricane Mk.II, PZ865, G/C Peter Townsend, ‘LAST OF THE MANY’, Kings Cup Air Race, 1950. Hawker Hurricane Mk.II, PZ865, G/G Peter Townsend, ‘LAST OF THE MANY’, National Air Race, 1951. 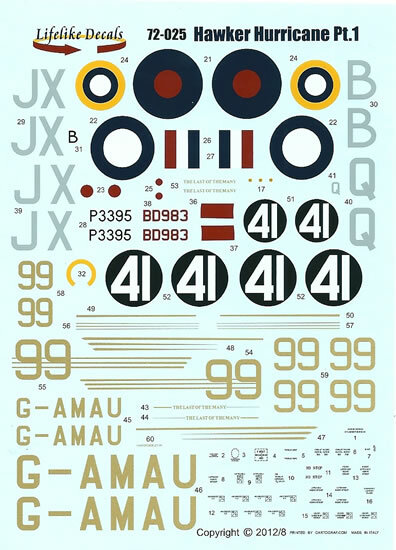 These are superbly produced decals. Lifelike has selected some attractive and interesting Hurricane schemes (especially the racing ones) that appear to be well researched – Recommended.